As Sinclair suggested, emphasizing the symbolic removal of statues can distract from more substantial and important actions like finding ways to honour Indigenous héroes. Unsurprisingly for the head of an organization called the Macdonald-Laurier Institute, I believe the current campaign of vilification and erasure being carried out against Sir John A. Macdonald, architect of Confederation and our first prime minister, is both wrong and unjustified. On the other hand, I warmly welcome the desire for reconciliation with Canada’s Indigenous peoples that justifies this campaign in the minds of many people of good will. Can the desire to celebrate the history of perhaps the finest country in the world, and that of seeking reconciliation with Indigenous people who feel wronged by that history, be made to co-exist? I believe they can and that we should try. Remembering that the most recent attack on Sir John’s reputation was the removal of his statue from the city hall in Victoria, BC in the name of reconciliation, the meaning of that word is worth reflecting on. Perhaps the most famous truth and reconciliation (T&R) effort in the world was South Africa’s following the end of the odious apartheid regime. Reconciliation requires all the parties to focus on the future, which is in our power to shape, not the past, which cannot be changed. It requires them to bring great generosity of spirit to the endeavour, to forswear revenge and retaliation because they only sow the seeds of future conflict. Instead we must look for ways to accept responsibility for past wrongs, to accept genuinely-offered gestures of restitution and healing and to show each other kindness and compassion. That sows the seeds of future comity. The revulsion with which the vast majority of Canadians have greeted the decision to remove Sir John’s statue shows that this gesture fails the tests of reconciliation because non-Indigenous Canadians do not accept the reducing of their illustrious founder to a one-dimensional caricature, based on a policy that was widely accepted and supported at the time. Far from promoting reconciliation, this will only create resentment and resistance to real efforts at reconciliation that address the future, not the past. Nothing will dispel the appetite for reconciliation faster than the belief that Canadians who are justly proud of their country must hide these sentiments away and look on silently, while our founders are treated as criminals whose names must never be mentioned in polite company. Does that mean that nothing could have been done to recognize Indigenous feelings about the historical facts of traditional Canadian “Indian policy”? Of course not. New interpretive material could have accompanied Macdonald’s statue, fully recognizing his role in helping to create Canada’s early Aboriginal policy, along with his many more positive accomplishments, which include, by the way, being an early advocate of women’s rights and the prime minister who gave Aboriginal people the vote (later taken away by Sir Wilfrid Laurier’s Liberals). More importantly Canadians would have embraced the creation and display of new monuments celebrating Indigenous leaders and groups who made noteworthy contributions to their community and to Canada. 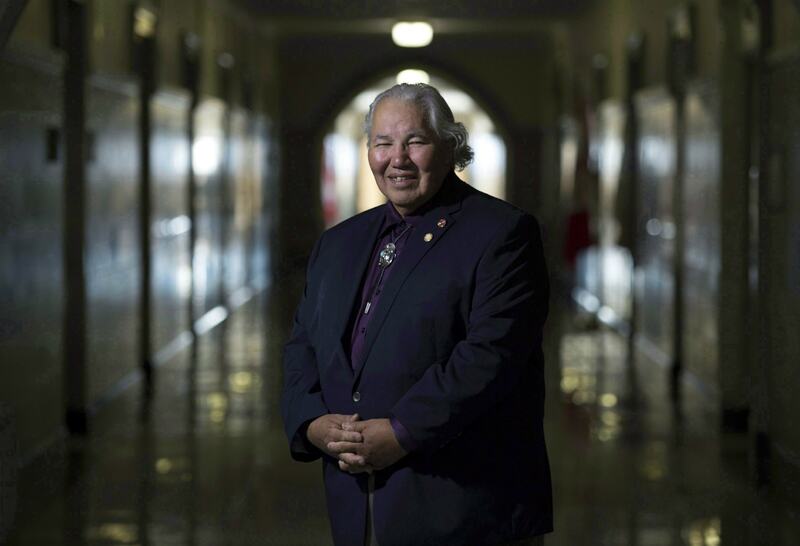 It is precisely this that Senator Sinclair has called for in the true spirit of reconciliation: not the bringing low of the towering non-Aboriginal figures of our history, but the raising up of their Aboriginal equivalents. As a former chief justice of the Supreme Court of Canada once famously said, none of us is going anywhere, by which he meant that Indigenous and non-Indigenous Canadians must learn to live together, for there is no alternative. How we understand and pursue reconciliation will determine whether we do so in mutual respect and co-operation or mutual distrust and hostility. Put Sir John back in a place of honour, use the restoration as an occasion to expand our understanding of his errors as well as his feats, and celebrate Indigenous history and heroes too. That exemplifies the two-way street of genuine reconciliation, seeking neither retaliation nor vengeance, but offering instead understanding and kindness. There is still time.